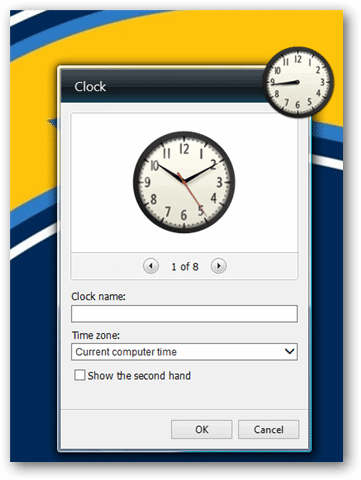 Do you miss your desktop gadgets from Windows 7? 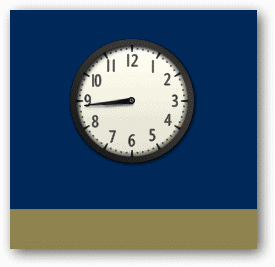 If you’re missing your weather, RSS or clock gadgets, 8GadgetPack is the program for you. 8GadgetPack recreates those familiar gadgets in the Windows 8 engine so you can add them back to your desktop and we’ll show you how to start using your gadgets again. Once you install it, unzip it and click on the EXE installer. 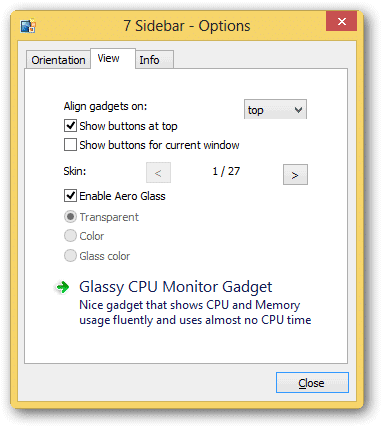 A few moments later, you’ll be able to start using gadgets again in Windows 8. 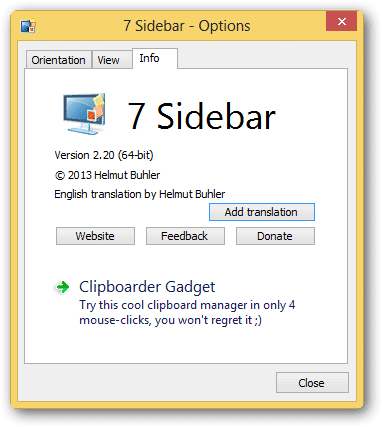 A sidebar will open on your desktop with a few preliminary Windows 7 gadgets. 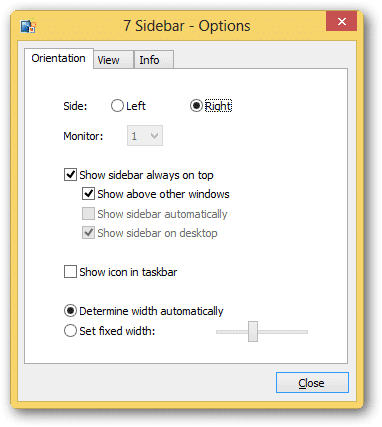 This sidebar will replace the normal one you’re used to dealing with in Windows 8 and as you need to cycle through open apps, you can do it form here, too. You can then drag and drop them to where you want on the desktop. If you hover over the newly placed gadget, you can open its menu. You can open the gadget from there, open its settings or close it. 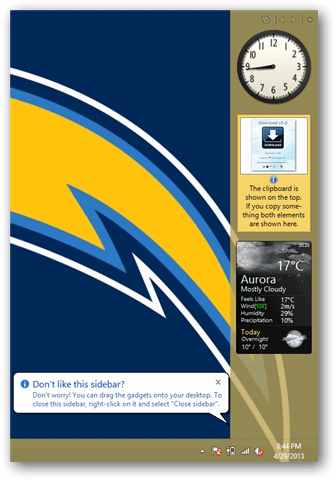 You can also drag and move it around the desktop. This will open 8GadgetPack’s gallery of Windows 8 gadgets. Many of them will be familiar to you, many will be new. You can click on any of the gadgets to get more information about them. Then, simply drag them onto the desktop to begin using them. Now, open the right-click menu again and click “Options” from the sidebar. 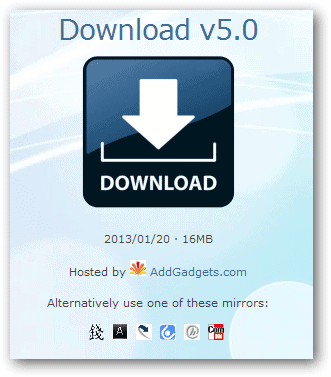 The first settings – Orientation – deal with where the 8GadgetPack sidebar sits. You can customize it further with these options. 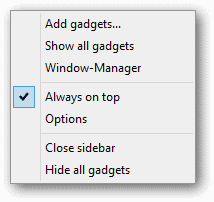 These settings allow you to tinker with how gadgets interact with your Windows 8 theme and desktop. This gives you a little more information about the program and where you can give feedback or even donate to the cause. 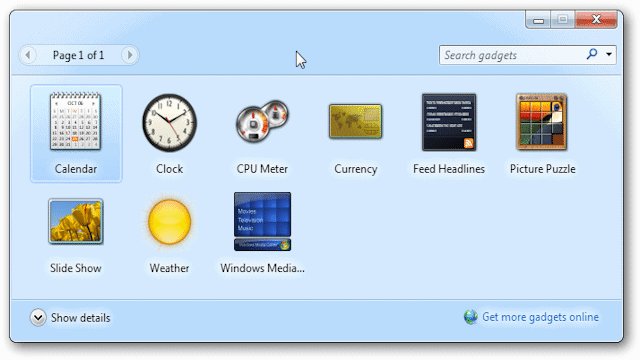 8GadgetPack is an easy to use way to get Windows 7 gadgets into Windows 8. Will Windows 8 ever have its own gadget library? With the move towards a more mobile look and feel in Windows 8, you’ll never see desktop gadgets like you did in Windows 7. With the use of “apps,” Windows has found a way to replace those gadgets we all came to love in Windows 7. 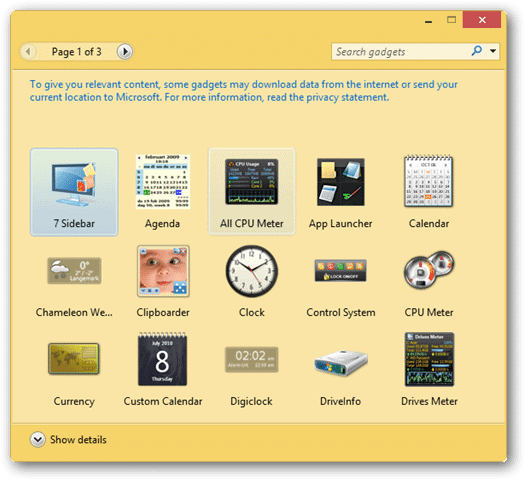 Utilities like 8GadgetPack do an amazing job at replacing and letting you utilize those gadgets in Windows 8. What other gadget programs are you using in Windows 8? Are you using Google Gadgets on your desktop? Let us know in the comments below!